Hello, papercrafters! I have a box to show you today. I’m not the best at boxes and bags, so I’ve been practicing making them a lot lately. This box was actually one of my Display Stamper projects for OnStage in Shreveport. 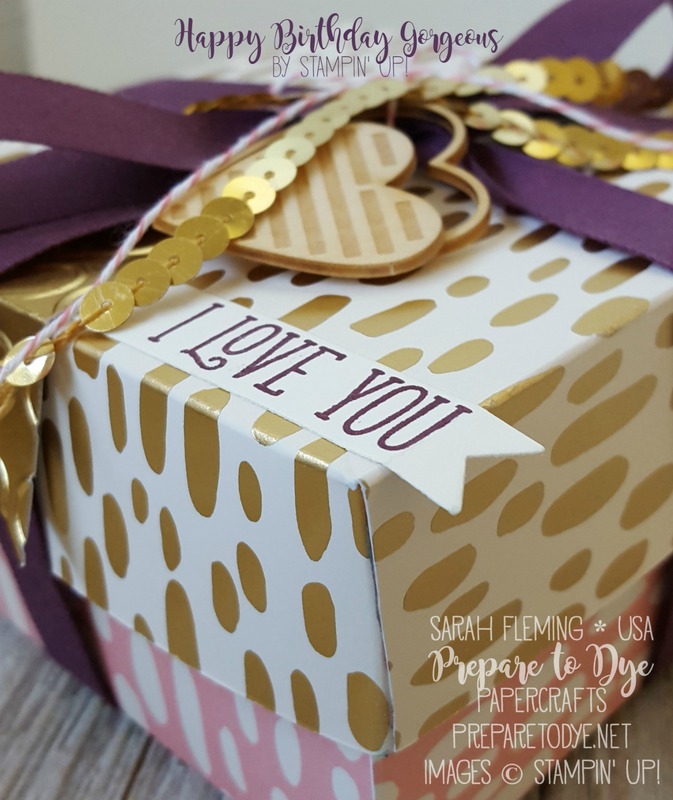 The box is made from the Bundle of Love Specialty Designer Series Paper. This paper will be available next week in the new Annual Catalog. I’m in love with it! Each piece is gold foil and Very Vanilla on one side, and the other side is Very Vanilla and either Soft Sky or Blushing Bride. The base of this box and the lid are made from opposite sides of the same sheet of paper (except two sheets because of the size of the box). This is a 4″x4″x2″ box, and the lid is slightly larger (like a smidge all around), 1-1/4″ tall. Aside from using this gorgeous new paper, I also decorated the box with retiring, brand new, and continuing (into the new catalog) items. The sentiment is from the new Happy Birthday Gorgeous stamp set, stamped in brand new In Color Fresh Fig. The Gold Foil is embossed with the RETIRING Happy Hearts folder. The ribbon is brand new Fresh Fig 1/2″ Finely Woven Ribbon (this ribbon comes in all five new In Colors), Gold Sequin Trim (RETIRING), Flirty Flamingo Baker’s Twine (new), and Hearts & Stars Elements (new). The sentiment from Happy Birthday Gorgeous. I love the new Hearts & Stars Elements. It’s a fairly simple box, but the paper makes it so fancy! You can get some of the things I used for my card in my online Stampin’ Up! store. Click on the links below. 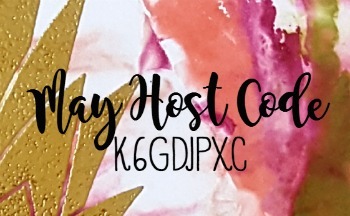 However, the stamps, Fresh Fig Ink Pad, Fresh Fig ribbon, Flirty Flamingo Baker’s Twine, and Bundle of Love paper are not available until June 1 (you can actually get the Fresh Fig ribbon as part of either of the Eastern Palace bundles right now). 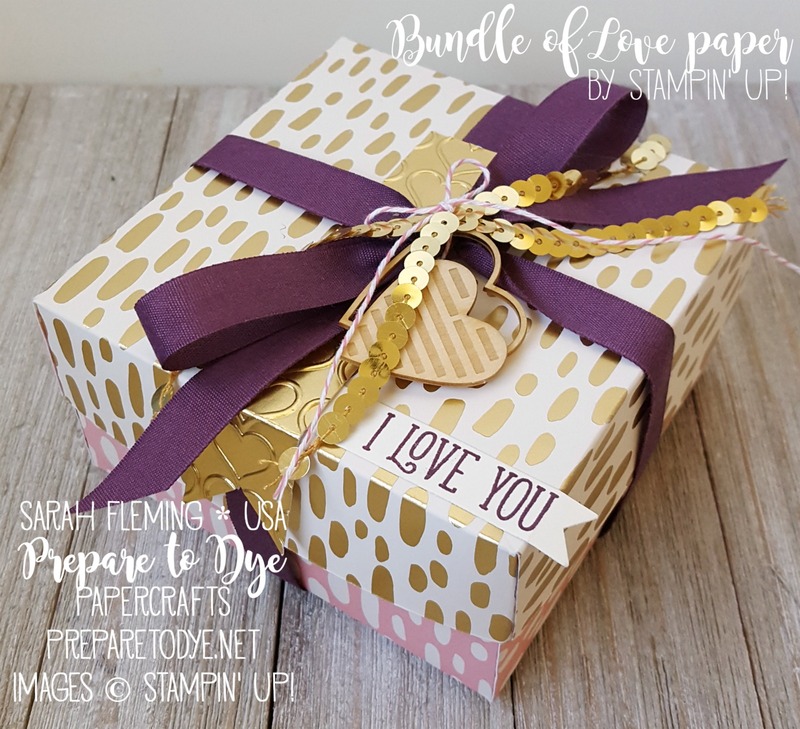 Demonstrators can order everything except the Bundle of Love paper right now, so if you can’t wait, click the blue join button above, and join my team! 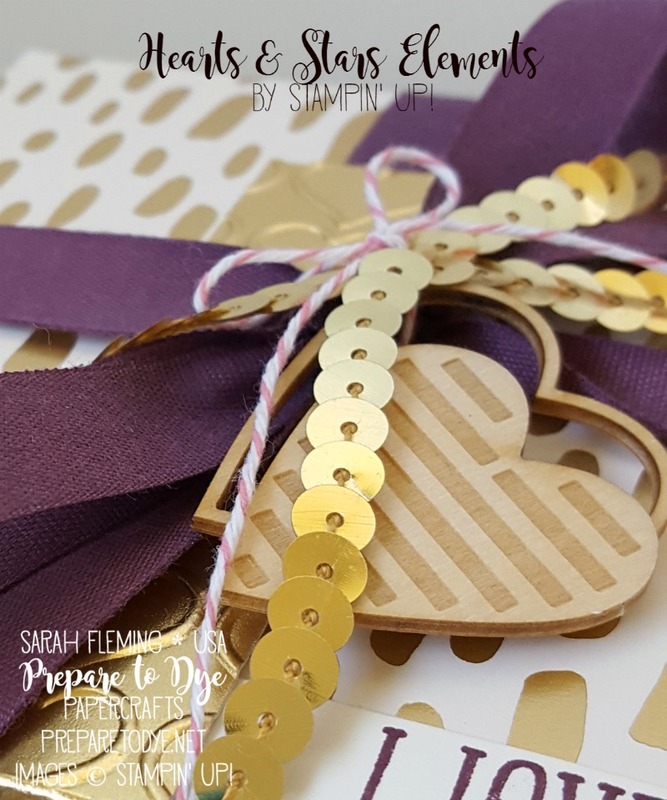 And remember the Gold Sequin Trim and Happy Heart embossing folder will retire forever after the 31st of May, so get those now if you want them.